Starting the 5th week of my healing process. I know that doctors treat, but God heals. I pray to Him every day to heal my ankle. I know many of you are praying for me as well and I sincerely appreciate that. God willing, I’ll be able to start putting pressure on the ankle 18 Feb and start rehab. Yesterday we celebrated our oldest grandson’s 6th birthday. 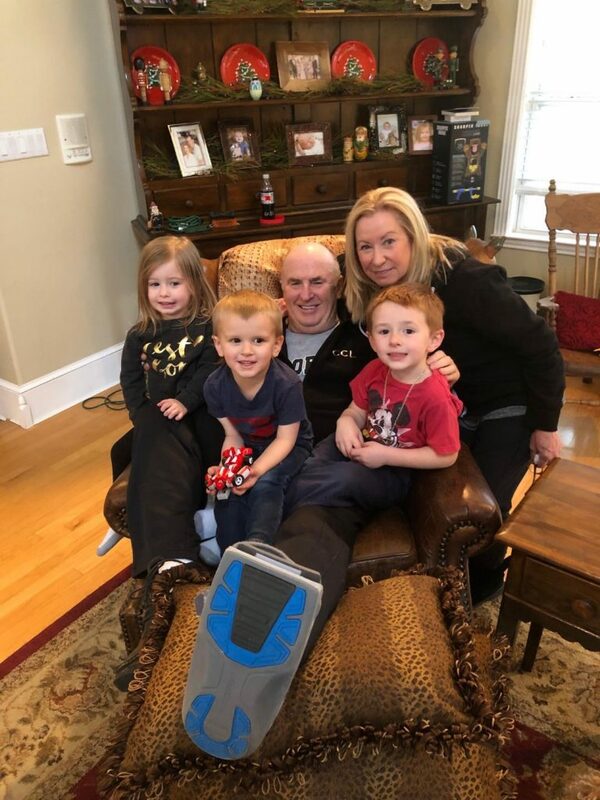 Just having all the grandkids around me and giving Papa hugs and kisses helped the healing process as well. Sarah has taken amazing care of me over the past 36 years, and has been with me every step of the way thru this experience. Wouldn’t get thru this without her. Family and friends are so very important all the time, particularly during difficult times. Don’t wait until something bad happens to reach out to them. In today’s environment of advanced technology (cell phones, internet, social media) there really is no excuse to lose contact. Think of them, pray for them, and reach out to them…today. You’ll be glad you did.